TREECO provides complete landscaping for your commercial enterprise. 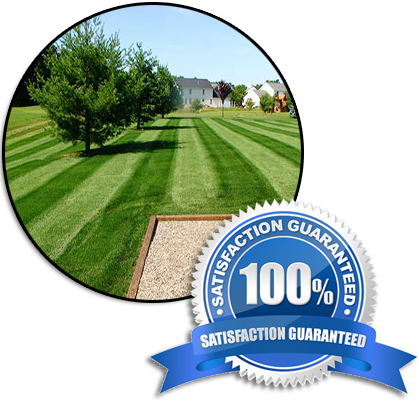 We can maintain your lawns in pristine condition. Our tree surgeons in St. Augustine FL can keep your trees looking beautiful and preserve your canopy to let just the right amount of light onto the land below. We also provide irrigation services for all your live landscaping features. Your business image partly relies on having a well-kept and attractive lawn. We can set up a schedule to take care of all your needs for routine lawn maintenance in the Jacksonville FL area. We mow the grass, edge sidewalks, paths and drives, tend to your flowerbeds and trim your shrubs to keep your lawn looking immaculate. Then, if you have special needs due to weather damage or vandalism, we can take care of those problems on an as-needed basis. Our lawn care specialists keep an eye on how your lawn is doing from visit to visit, and give you recommendations for any landscaping work that needs to be done to keep your plants and grass healthy throughout the year. 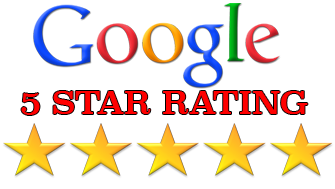 We are always careful to avoid damaging buildings, concrete stairs and landings, and trees on your property. When you choose TREECO, you choose to have a perfect company lawn that retains your vision for your business entrance. 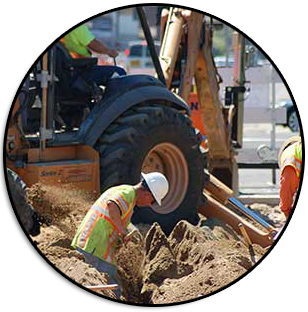 Each quarter, we come to your business and assess your needs for new plants, shrubs and trees. At this time, we talk to you about any additions you want to make to your commercial landscaping in the Jacksonville FL area. In fact, we can plan the quarterly planting service with you at the start of your yearly contract to avoid spending your precious time on details we manage very well. Also, we come in each quarter and assess the health of all your plants. We then determine if some of the plants need to be removed and replaced with new plants. When needed, we can do the work to keep your lawn looking consistently attractive throughout the year. Our landscapers in St. Augustine let you know what is needed in a clear and concise way so you can get back to your company business as quickly as possible. You can rely on TREECO to keep your business lot looking as professional as you are. Keeping your Jacksonville business land looking its best requires reliable irrigation that provides 100% coverage of your company’s lawn. If your lawn is much larger than a residential lawn, there is still no need to worry. We can provide extremely efficient watering systems that give your grass, plants, shrubs and trees just the right amount of water and no more. You can let them run automatically at certain times during the day or only turn them on manually as needed. Our irrigations systems supply the right amount of water to keep your plantings moist while conserving as much water as possible to keep your utility cost low. We position them so they do not cause overspray on adjacent lawns, into your parking lot, or onto the sidewalk or street. Whenever we provide other landscaping services, we are happy to give an estimate to alter your current irrigation system to suit your new landscape. The health of the trees on your commercial property say a lot about your attention to details and your attitude towards visitors who come to your business. Trees require regular maintenance to stay healthy and beautiful. The problem is often that no one in the company knows exactly how to properly maintain trees. We offer complete tree trimming in the Jacksonville FL area. Trimming not only makes your trees look better, but it keeps them from becoming unbalanced or top heavy. We have all the best tree trimming equipment as well as expert tree care specialists to do the work. Our tree surgeons in St. Augustine FL look at your trees carefully to decide the best way to trim the branches. Then, they do the work according to the tree’s requirements for sun, soil and air. Our tree surgeons cost can fit in your business budget quite nicely. With the help of TREECO, you no longer have to worry about who will trim the trees. Trees that are storm damaged, diseased or vandalized may require special attention if you want to preserve them on your business lawn. Not all trees can be saved from these types of damage, but our tree surgeons in Jacksonville FL will work hard to save any tree that can possibly be saved. Tree preservation methods are a bit more drastic than regular tree maintenance. It takes a highly qualified and experienced tree surgeon to nurse your tree back to health and get it looking its best again. We know how to eliminate tree diseases that might endanger the life of your tree before these diseases spread to other trees on your property. We can cable or brace trees pushed out of balance by high winds. And, we can take measures to heal cuts and gashes in the bark caused by vandalism or careless mowing. Our tree surgeons in the Jacksonville FL area can get your trees into the best condition ever! Looking For A Trusted Commercial Management Company?